These 2-1/2" shells are designed for .410 bore shotguns and revolvers such as the Taurus Judge and Smith & Wesson Governor. 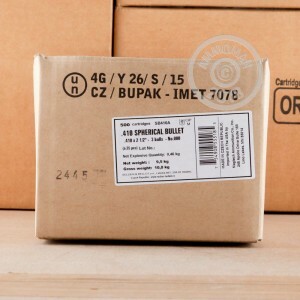 Manufactured in the Czech Republic by Sellier & Bellot, these shells come in boxes of 25 (20 boxes in each case of 500) and fire three pellets of 000 buck. 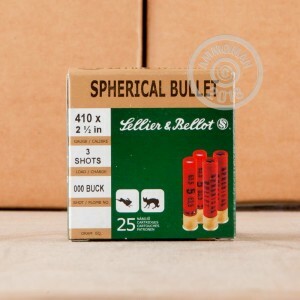 This ammunition will work in both magnum and non-magnum .410 bore revolvers due to its shorter length shell. 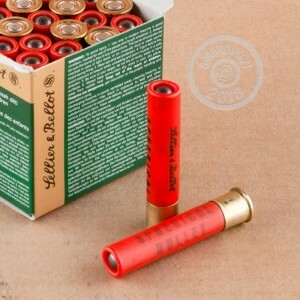 Discover why serious shooters around the nation are buying at AmmoMan.com: order more than $99 worth of products and get FREE shipping!